SEED STOCK SURI ALPACAS introduces an innovative, unprecedented program for the genetic advancement of suris in North America. Our host farm partners keep and provide care for a limited number of our top quality SEED STOCK females and herdsires on their farm. Host Farm Partners are compensated with access to our SEED STOCK SURI ALPACA HERDSIRES for genetic improvement of their own, suri females. Host Farm Partners are compensated with 100% ownership of a SEED STOCK SURI Alpaca female earned on a vesting scale. Host Farm Partners receive recognition and a link on our website. Participation in advertising (as available) in National Publications. Excellent mentoring service provided for new and experience breeders. Commission paid for any alpaca Seed Stock Suri Alpaca sold by a Host Farm Partner. Host farm may offer outside stud services to Seed Stock Suri herdsires agisted on their farm and will receive a portion of the stud fee plus any agistment charges for the visiting female. 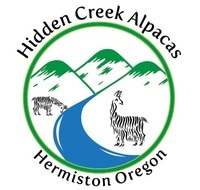 Significant discounts on the purchases of alpacas offered for sale by Seed Stock Suri Alpacas.